Coming Home tells the story of how a significant number of parents in postwar America opted out of the standardized medicated hospital birth and recast home birth as a legitimate and desirable choice. Build the critical thinking capabilities essential to your success with this captivating, case-based approach. Maternity, Newborn, and Women’s Health Nursing: A Case-Based Approach brings the realities of nursing practice to life and helps you acquire the understanding and clinical reasoning skills to ensure effective patient-centered care. This innovative text immerses you in realistic, case-based narratives that help you experience maternity, newborn, and women’s health nursing concepts from the patient’s perspective and confidently prepare for your clinical rotations. Accompanying units leverage these patient stories to enrich your understanding of key concepts and reinforce their clinical relevance, giving you unparalleled preparation for the challenges you’ll face in your nursing career. Powerfully written case-based patient scenarios instill a clinically relevant understanding of essential concepts to prepare you for clinicals. Nurse’s Point of View sections in Unit 1 help you recognize the nursing considerations and challenges related to patient-based scenarios. Step-by-Step Skills tutorials clarify common procedures. Unfolding Patient Stories, written by the National League for Nursing, foster meaningful reflection on commonly encountered clinical scenarios. Analyze the Evidence callouts present conflicting research to hone your critical thinking capabilities. Patient Teaching boxes highlight important information to communicate to patients. Lab Values help you recognize the significance of out-of-range values and make appropriate nursing interventions. The Pharmacy features detail essential pharmaceutical information at a glance. Interactive learning resources, including Practice & Learn Case Studies and Watch & Learn Videos, reinforce skills and challenge you to apply what you’ve learned. Learning Objectives and bolded Key Terms help you maximize your study time. Think Critically questions instill the clinical reasoning and analytical skills essential to safe patient-centered practice. Suggested Readings point you to further research for more information and clinical guidance. 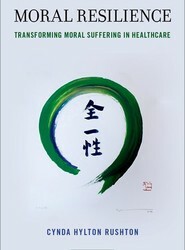 Moral resilience is a pathway to transform the effects of moral suffering in healthcare. Dr. Rushton and colleagues offer a novel approach to addressing moral suffering that engages transformative strategies for individuals and systems alike and leverages practical skills and tools for a sustainable workforce that practices with integrity, competence, and wholeheartedness, and dismantles the systemic patterns that impede ethical practice. This is a must-read for clinicians front line nurses to physicians to system leaders and policymakers because it will require collective collaboration, aligned values, shared language and intentional design to make our healthcare organizations and their clinicians healthy again. 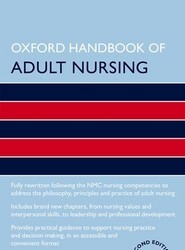 With a brand new author team of experienced nurses, this second edition has been completely rewritten to reflect the latest nursing competencies and professional knowledge. It ensures readers have everything they need to deliver the best nursing care. 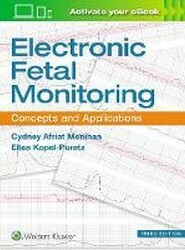 The newly updated Electronic Fetal Monitoring: Concepts and Applications, 3rd Edition, is an invaluable guide for clinicians (nurses, nurse-midwives, physicians) responsible for ordering, initiating, performing, and interpreting electronic fetal monitoring (EFM). Written by OB/GYN nurses and advanced practitioners, this combination textbook/workbook offers clinicians involved in perinatal care a uniquely detailed, in-depth, and historical perspective on EFM. Topics include maternal-fetal physiology, EFM instrumentation, antepartum and intrapartum fetal assessment and pattern interpretation, and a variety of additional issues and challenges relevant to the current state of EFM practice. Applicable to both the novice and seasoned practitioner, this text is useful as a both a primer for this specialty field and also as a detailed resource to ready for the NCC Certificate of Added Qualification in EFM. Examples of EFM tracings that demonstrate the points presented in the text– including 22 case studies annotated with real-time bedside interpretation, followed by expert review with commentary to support these analyses. Validation of knowledge - New! End-of-chapter study questions and answers are a perfect supplement for certification exam preparation. For the educator, methods of competence validation are discussed and presented in detail. Concise, easy-to-follow support for optimal acquisition and assessment of EFM data, and proper response to findings. Expert advice on handling both clinical and instrumental challenges related to EFM. Detailed explanation of the workings of EFM equipment and technology. Proven algorithms for management of antepartum testing and of EFM data, outlining specific interventions and their rationales. Coverage of crucial knowledge, including maternal-fetal physiology of fetal heart rate patterns and management of unusual EFM tracings, common problems and more. Chapter features include helpful tips (“Stork Bytes”) to highlight important points. Ellen Kopel, RNC, MS, is a Nurse Educator and Perinatal Consultant in Tampa, Florida.